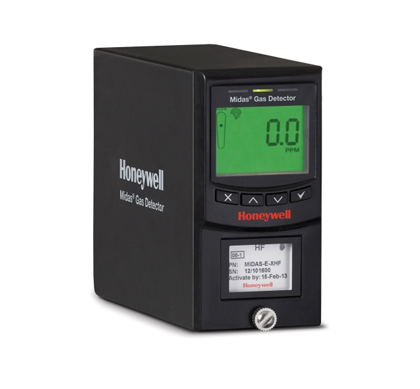 The Midas Gas Detector by Honeywell Analytics uses reliable sensor technology to detect the many key toxic ambient and the flammable gases in a plant. The device monitor points up to 100 feet (30 meters) away while using patented technology to regulate flow rates and ensure gas detection error-free. Use of advanced robotics, the Midas Gas Detector use of advanced robotics thanks to Honeywell's offers unbeatable quality and reliability.